Uno De 50 Ego Earrings Pen0461Bplmtl0U by Uno de 50 at Blood of The Young. MPN: PEN0461BPLMTL0U. Hurry! Limited time offer. Offer valid only while supplies last. 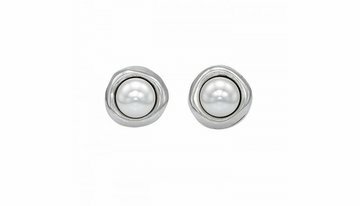 Silver-plated metal earrings with a crimped SWAROVSKI® ELEMENTS pearl. Its design, elegant and timeless with rounded and slightly irregular forms. Silver-plated metal earrings with a crimped SWAROVSKI® ELEMENTS pearl. Its design, elegant and timeless with rounded and slightly irregular forms. New and delivered with manufacturer warranty and genuine UNO DE 50 presentation box.